Paramecium protozoan. 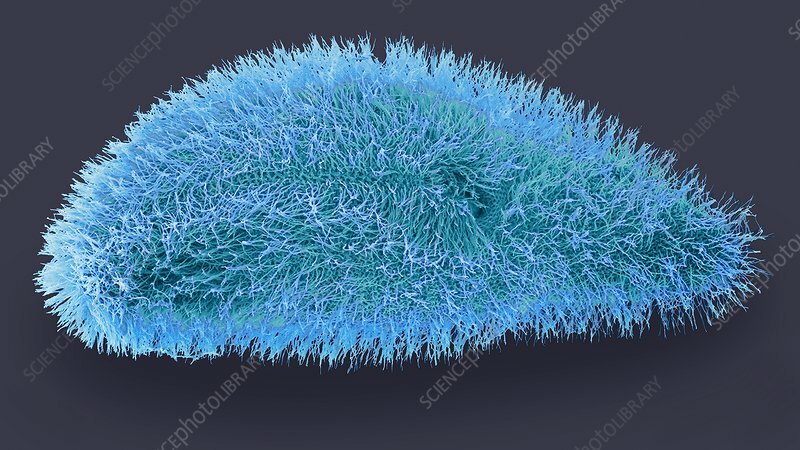 Coloured scanning electron micrograph (SEM) of a Paramecium sp. protozoan. These single-celled freshwater organisms are covered in short hair-like structures known as cilia, which are used for swimming and for wafting food along the oral groove into the oral cavity. Magnification: x5000, when printed 10 centimetres wide.